@ landry16 this is what i think of your pdf to word converter (on a 30 day trial basis) ..
Hey guys, remember to report any obvious spam using the triangle reporting tool " "and a mod will have a look at it asap. Last edited by Jester; 07-11-2011 at 01:54 AM. I think landry16 is going to be a little "Thor". Thame. Last edited by tekki; 02-06-2011 at 07:33 AM. Last edited by Jester; 02-06-2011 at 07:20 AM. 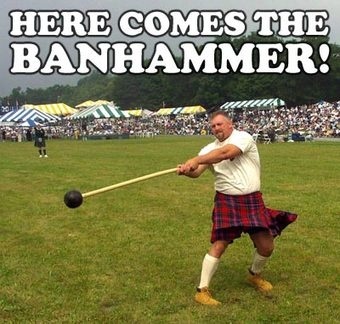 Ahhhh, your first Ban Hammer handling! Great job man! LOL thats what i thought... Noobs eh. bullzip is a totally free pdf printer that works really nice and easy. I performed my first mod duty this morning as well. It was just a subtle moving of thread rather than a blatant spammer banning though. My time will come I'm sure.